To meet the miscellaneous requirements of our clients, we are engaged in providing a wide range of Shipping Container Rental Service. We have different types of containers which are available as per the requirements of our clients. These are widely used across industries such as Auto Sector, Heavy Industries companies. FFF offers tailor-made container rental solutions at attractive tariffs. Our extensive and latest-model rental fleet consists of safe and well-maintained containers. Apart from standard containers, we also offer reefers and specialized units like open top, flat rack, and hard-top containers. Product Details: Vegetables, food products, raw materials. We have been counted amongst the most trusted names in this domain, engaged in providing Container Rental Service. Being the leading companies in this domain, we bring forward the finest range of Container Rental Services. 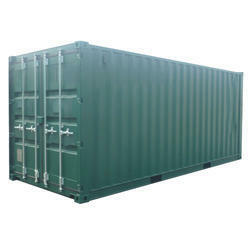 AB Sea Container are leading Manufacturer and Exporter of Container Leasing Services. Owing to a long-term destination for our business, we are engaged in offering Domestic Container Leasing Service. 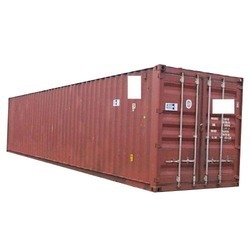 The containers which we provide on lease are demanded by various manufacturers and leading names in the industry and are used for easy goods transportation. We provide these leasing services in several sectors.